This is the two hundredth anniversary of Robert Schumann’s birth, and the fact that this is his only opera reflects rather sadly on his desire to help create a new type of German opera, without conventional recitative. In fact it was Wagner, three years his junior, who had already accomplished this by the time Schumann composed Genoveva in 1848. They both lived in Dresden at the time, and while Wagner’s Flying Dutchman and Tannhäuser had already premiered in that city in 1843 and 1845, Schumann was galled to find he could not obtain a production of his own opera. Its first performance was in Leipzig in 1850, the same year Wagner’s next opera Lohengrin appeared. The heroines of these three Wagner operas, Senta, Elisabeth and Elsa, appear as models of feminine faithfulness and sobriety, but in operas about men. Schumann’s Genoveva, by contrast, is about a woman, who wins through in the end. Where Senta and Elisabeth die, and Elsa is left bereft of her hero, Genoveva lives to claim back both her life and her husband Siegfried. But Wagner criticised Schumann’s libretto, and the opera failed to find a performance in Dresden. Its weak libretto has left it without a safe niche in the operatic repertoire, but the music is good and was well conducted here by Charles Peebles. The story is roughly as follows. The knights of Brabant are urged by the Bishop of Trier to join the army of that brilliant eighth century general Charles Martel against Muslim armies that had swept across the Pyrenees from Spain. 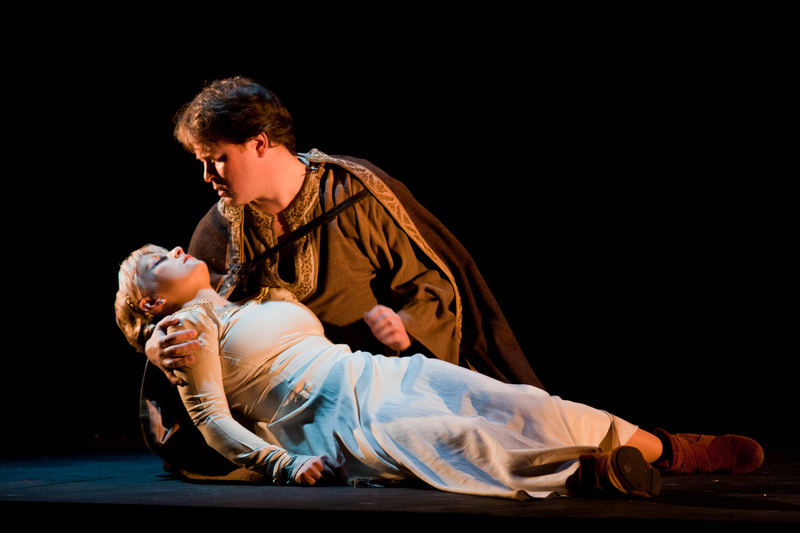 Siegfried, the Count of Brabant, entrusts his new wife Genoveva to the care of his young servant Golo, but the wretched Golo makes advances to her, which she robustly repulses. As revenge he contrives to have the old retainer, Drago hide in her room, and thus be entrapped and exhibited as her lover. The servants then conveniently kill Drago. This is all done with the connivance of a sorceress named Margaretha, who later uses a magic mirror to show imagined scenes of Drago’s seduction to the wounded Siegfried, while she is attending him as his nurse. Siegfried breaks the mirror and with the loss of her magic, Margaretha has to face the ghost of Drago who predicts a fearful end for her unless she admits the truth. In the meantime, executioners have been dispatched to kill the innocent Genoveva, who clings to a crucifix and holds them off just long enough for Siegfried to rescue her. One can see why this opera doesn’t work, but the performance was wonderful. The tenor role of Golo was very strongly sung by Richard Rowe, and Bibi Heal looked delightful and had a lovely tone as Genoveva. 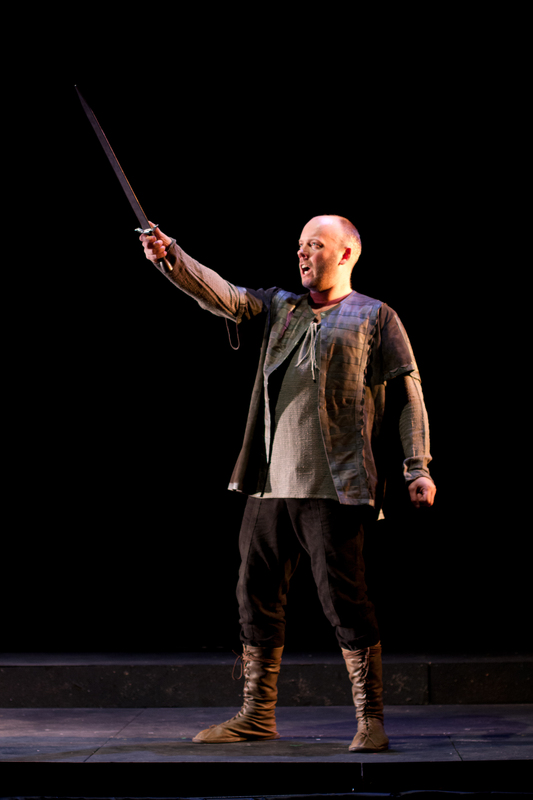 Adam Green sang forcefully in the baritone role of Siegfried, Lynton Black sang an excellent bass as Drago, and Magdalen Ashman was a convincing Margaretha. The production was full of youthful energy, well directed by Emma Rivlin, with some very realistic fight sequences directed by Nicholas Hall. Sets by Christopher Giles and costumes by Ryszard Andrzejewski gave the right sense of period to this story, and the massed appearance of the chorus in the auditorium near the end was a nice touch, except that Siegfried did not join them, and his entrance on stage was entirely overshadowed by the confusion. The ‘sublime’ ending in which the assembled company enters church is all a bit much, but that’s Schumann’s doing, not the director’s. I would have loved to see the villains punished, but they simply disappear into ethereal obscurity, rather like this opera, despite its lyrical and dramatic music. 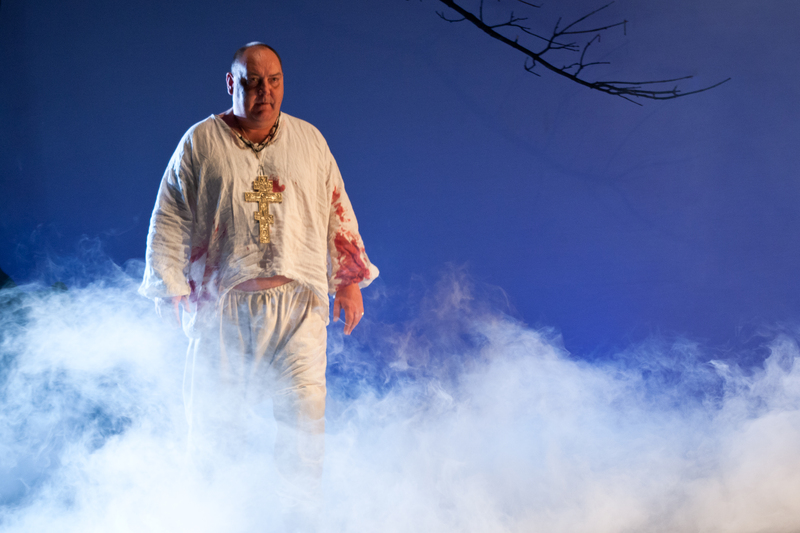 My criticism of its libretto notwithstanding, University College London have done a superb job of staging this work, continuing a tradition of putting on a relatively obscure opera every year for over half a century. Next year they plan to produce Weber’s unfinished opera Die drei Pintos (The three Pintos), completed by Mahler, which like Genoveva, was revived by the Bielefeld Opera in the 1990s. This entry was posted on 28 March, 2010 at 14:32 and is filed under 2010, January–April, Opera, Schumann. You can follow any responses to this entry through the RSS 2.0 feed. You can leave a response, or trackback from your own site.